Buena Vista Children’s Services offers an afterschool program right on our campus. It's the Discovery Clubhouse. Discovery is an afterschool program designed specifically for kids 5-12 years of age. 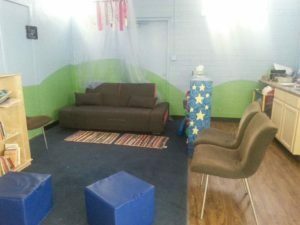 The curriculum is the perfect fit in our beautifully renovated Discovery Clubhouse located just west of Clarkdale-Jerome School. Hours and schedules are coordinated with schedules for schools across both Cottonwood and Clarkdale-Jerome. Visit Discovery Clubhouse for more information about this afterschool program and how to enroll.